60 professionals. Building confidence. Enriching children’s lives ages 1-18. Empowering learning, academic, language, communication, fine & gross motor skills. Supported by psychology, behavior & therapy programs. Parent & Family Support (or family counseling) is designed to address specific issues that affect the psychological well-being of the family, such as major life transitions, challenges at school and family communication. It is based on the idea that the family operates as a unit and that all members contribute to its functioning. The I-SUCCEED program is an after-school skill development program developed by The Developing Child Centre to help build and support the academic, social, emotional, physical and behavioral skills required by children to maximize their learning and developmental potential. At times parents and teachers think that a Speech & Language Therapist’s role is ONLY about helping children who stutter, helping children who can’t say their sounds properly or even helping those children who don’t speak at all. An OT will also support your child develop play skills such as hopping, jumping, throwing and catching a ball, riding a bike and completing games and puzzles, necessary skills helping them feel confident amongst their peers. 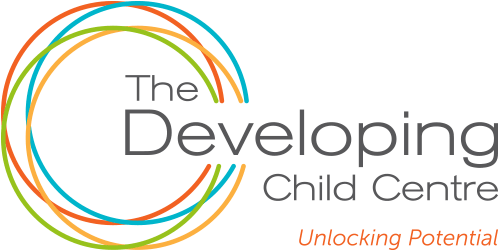 At The Developing Child Centre we believe that the holiday time is the perfect opportunity to provide focused and intense support to substantially progress and develop the emotional, social, physical and academic skills children need to feel confident and succeed. Our Advocacy and Inclusion Support program is a unique and bespoke service designed and managed by Dr. Ruba Tabari, Clinical Director & Educational Psychologist: DEdPsych, MSc Ed Psych, PGCE, BSc, C. Psychol, AFBPsS.